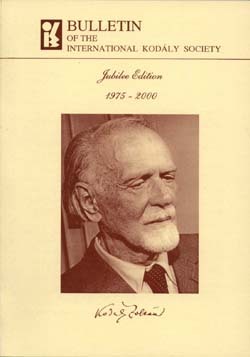 This Jubilee Bulletin is a compilation of major articles published in the first 25 years of the International Kodály Society. Available only in E-book format (the printed version is already sold out). Current IKS members can receive the E-book for USD 24.00. For non-IKS members the E-book can be bought for USD 30.00.